It has become increasingly apparent that the far-reaching effects of the peremptory provisions of the Consumer Protection Act (“CPA”) on leases of immovable property in general, and landlords and tenants in particular, requires further examination and attention. It remains self-evident, however, that the CPA, which came into effect on 31 March 2011, has not only strengthened already existing consumer rights but, also, introduced additional consumer rights. Does the CPA apply to leases concluded in respect of immovable property? A vital question that must immediately be disposed of is whether or not, in fact, the CPA applies to estate agents and business brokers and, more especially, to leases concluded in respect of immovable property. There has been much polemic on this matter with some observers inclining to the view that it does and others believing that it does not. At first blush, and if one is content merely to refer to sub-section (f) of the definition of ‘services’ in the CPA, it could be concluded that the answer must be in the negative. ‘Service’, in terms of that definition, includes a right of occupancy of, or power or privilege over or in connection with, any land or other immovable property, other than in terms of a rental. It is, however, to be underscored that regard must also be had to the provisions of sub-section (e)(v) of the definition of service. This sub-section provides that service includes the provision of access to, or use of, any premises or other property in terms of a rental. The exclusion of the lease entered into in terms of the national Credit Act refers, of course, to movable property acquired under a so-called ‘hire-purchase agreement’ in terms of which the ownership of the movable purchased will only pass to the consumer at the end of the term of the lease agreement. It does seem, nevertheless, that the inescapable conclusion can only be that leases in respect of immovable property do fall within the ambit of the CPA. A question must necessarily arise regarding the impact of the Rental Housing Act on residential leases. Section 2(9) of the CPA applies to situations where inconsistencies between two Acts arise. If the two enactments can apply concurrently this is done to the extent possible. If they cannot apply concurrently then the provision extending the greater protection to consumers will prevail. The Rental Housing Act applies only to leases entered into for ‘housing purposes’. This constraint patently limits its consumer protection application as opposed to that afforded by the provisions of the CPA. The Rental Housing Act, moreover, does not provide for the cancellation of the rights envisaged in section 14 of the CPA (which rights will be more fully considered below). It may be, therefore, be concluded that there really is indeed, falls far short of the level of protection that is granted to consumers by the CPA. It may consequently be concluded that, since the two acts will apply concurrently, it cannot validly be argued that the Rental Housing Act excludes leases from the ambit of the CPA. How are estate agents, commercial- and business brokers affected by the definition of ‘supplier’ in the CPA? The definitions contained in the CPA clearly indicate that landlords,rental agents and ‘buy-to-let’ investors are to be regarded as suppliers, while tenants are viewed as being consumers, for the purposes of the Act. The result is that both landlords and tenants are subject to the full rigours of the CPA. The CPA relates specifically to the conduct of landlords who let out premises as part and parcel of their ordinary business operations – as opposed to ‘once-off’ lease arrangements and other private situations. It is apparent, therefore, that all standard lease contracts need to be reviewed by estate agents and commercial- and business brokers and suitably amended to ensure that they comply with the provisions of the CPA. 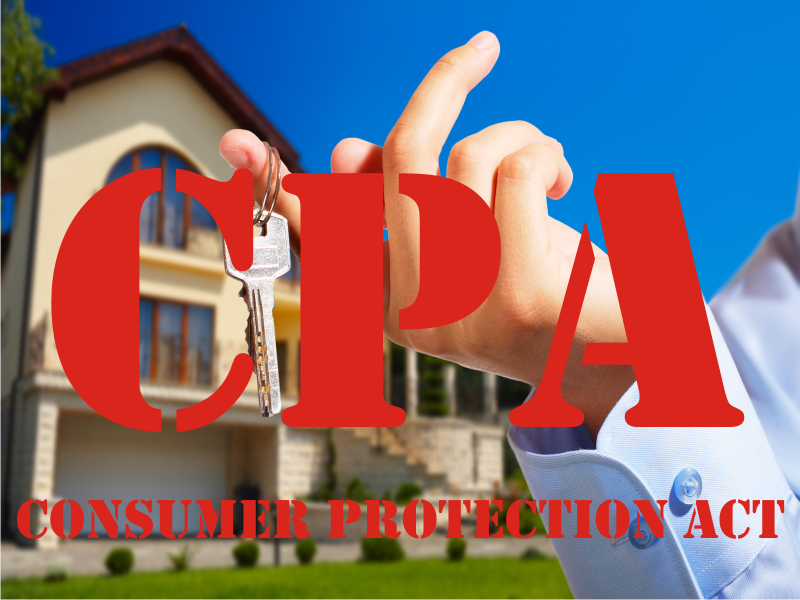 It is to be underscored, of course, that the protection offered to consumers by the CPA does not apply to all consumers. The provisions of the CPA, for instance, do not apply to transactions where the consumer concerned is a juristic person, that is to say, a legal entity other than a natural person, whose asset value, or annual turnover, at the time of the transaction, equals or exceeds R2 million. Who is a consumer where property rentals are concerned? In terms of property rentals, however, a ‘consumer’, as defined in the CPA, does not only include individuals concluding residential leases but, also, tenants (such as small or medium business enterprises) seeking to hire commercial premises. Possibly one of the most serious challenges created by the CPA is the inroad that seems to have been made to the security of tenancy that preciously resulted when the contracting parties concluded long-term lease arrangements. The CPA, in contradistinction, provides that a tenant may cancel a lease agreement by giving twenty business days’ notice, in writing, of such intended cancellation notwithstanding the existence of any provisions in the lease to the contrary. The situation is somewhat ameliorated to the extent that the provision is not applicable to leases involving juristic persons regardless of their annual turnover or asset value. Ever cautious landlords are, consequently, likely to prefer to enter into leases with companies rather than with individuals. One could conceivably end up with the absurd situation where individuals are obliged to form companies merely for the sake of entering into lease agreements for the hire of residential property. In cases of cancellation the tenant remains liable to the landlord for all amounts owing in terms of the concluded lease to the date of cancellation. The landlord is also entitled to impose a reasonable cancellation penalty on the tenant. Intrinsic factors such as the intended duration of the lease and/or the potential of the landlord in securing another tenant for the premises will have to be taken into consideration in determining such cancellation penalty. The uncertainty that is, nevertheless, created by this provision has the potential negatively to impact those landlords who wish to use concluded rental agreements as a form of security. Any acts or omissions of a rental estate agent or commercial broker in failing to comply with the provisions of the CPA during the process of concluding lease agreements on behalf of landlords could, moreover, result in the incurrence by affected landlords of indirect liability, both joint and several, with those particular estate agents or brokers. The fact that landlords are also obligated to ensure that tenants fully understand the provisions, terms and conditions contained in lease agreements creates the potential for abuse by tenants. It can be anticipated that tenants will be prone to averring that they failed to understand or appreciate the extent of the lease agreement and/or that they were influenced to sign the lease agreement. The onus of rebuttal, in such circumstances, will rest on the landlord. any acknowledgement of fact by the tenant. Any provision in a lease agreement which purports to limit and/ or exempt the landlord from liability for any loss attributable to the gross negligence of the landlord and/or which requires the tenant to assume liability for such loss is not permitted. The regulations promulgated in terms of the CPA, in addition,prescribe that fixed-term agreements shall endure for a maximum period of two years. This provision also applies to lease agreements which, therefore, are limited to a two year duration period unless the landlord is able to establish a ‘demonstrable financial benefit’ to the tenant for the conclusion of a lease for a period exceeding two years. It remains, of course, uncertain just how landlords will be able to discharge the burden of indicating such financial benefit to tenants. After the expiry of the initial twenty-four month period the lease continues on a month-tomonth basis unless and until a new lease is concluded between the parties. Under current, or indeed any, market conditions it is highly unlikely that consumers will be able to obtain the credit required to enable them to establish and profitably run a business under circumstances where a lease agreement can be concluded with the lessor for only a two-year period. It is entirely probable that many credit grantors will be extremely wary of a two-year time period especially since this period of time is likely to be considered insufficient to enable the consumer to recover the start-up costs for the establishment of the business and, moreover, to reach a profit-making situation. This situation also creates uncertainty for tenants. They would be unaware as to whether or not they would be entitled to remain in occupation of the rented premises after the expiry of the twenty-four month period. notwithstanding that the lease period is clearly indicated in the lease agreement. The previous practice for landlords to include the barest minimum of warranties and entirely exclude any warranties pertaining to the purpose for which the premises are intended to be used has now been largely curtailed by the CPA which imposes a duty on landlords to provide a property that is free from defects unless that defect is expressly excluded by agreement. The former practice, therefore, is now only possible to the extent that the tenant records in the lease agreement that such tenant has been expressly informed by the landlord that the premises are offered in a specific condition. Where, for instance, a tenant wishes to utilise the premises for the establishment of, say, a restaurant, and this fact has been unequivocally conveyed to the landlord, the tenant will retain the right to receive the premises in a condition that is reasonably suitable for the conducting of a restaurant. It might even be argued that the fulfillment of this condition would necessarily include the fact that the prospective tenant is able to obtain, and is indeed granted, a liquor licence. Failure to comply with the provisions of the CPA in respect of leases may result in the entire lease agreement being declared null, void and unenforceable. Failure to comply with any compliance notice requiring the rectification of any prohibited conduct may, furthermore, result in the imposition of a fine equal to 10% of annual turnover or R1 million, whichever amount is the greater, or to imprisonment for up to one year or to both a fine and imprisonment.